We are officially moved into our new place in St. Johns Florida. Well, do un-emptied boxes and eating off of paper plates count as moved it? 😜 Anyway, we are here and we are excited for this next chapter in our lives and in our ministry but it has been such a full summer of goodbyes and reminiscing about some of our firsts in ministry. The Schunks are a huge part of that. David and Eli became close almost immediately after we arrived in Bloomington. David is the Campus Life Director at South High School and the two of them have gotten so close as they have bonded over ministry and similar life values. We love the Schunk family and are so glad we were able to visit with them a few more times before leaving town. One time in particular, getting updated family photos! David is on sabbatical this summer and had said that the lake had been a special place to him during this time of rest and reconnecting with God. We decided to meet at Paynetown and I am so glad we did! We got some great shots. David and Abby have three wonderful children, Lisa, AJ and little Drew. Two-year-old Drew was not really having it during the session. Eli came along for the fun and I am so glad that he did because he got the best smiles out of Drew! David is on the coaching staff for South’s football team so we had to get some shots of them playing the game that has become a fun part of their lives. 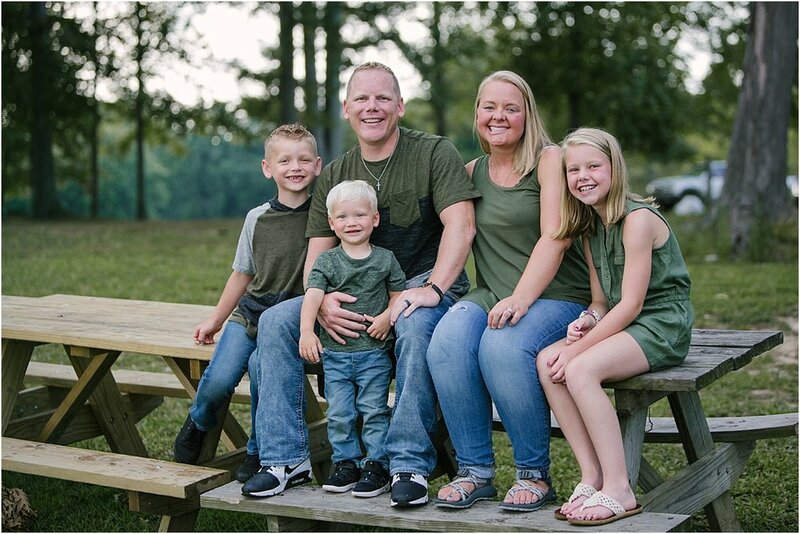 You will also see a photo in their of them reading a favorite book, “God is With You.” We were able to capture a lot of the things that the Schunk family value the most. I loved getting to take your family’s photos again! What a great excuse to hang out again before we left. Love you all! I cannot wait for our next hang out.